The most novel part of this plan relates to food promotions and marketing. The government is now developing a Scottish Standard, spanning all food marketing and advertising. The British Standards Institute (BSI) will develop a Publicly Available Specification (PAS) for the marketing of food and drink over the next 12-18 months to support the Scottish Dietary Goals. Both retail and catering price promotions will be included in this scheme which is a significant move towards the recommendations set out in the National Food and Drink Policy. Clearly, much is dependent on what that standard is in relation to nutritional composition. 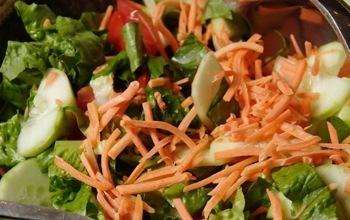 For example, standards may relate to the number of “green traffic lights” or a nutrient profile system or other similar standards. Setting a PAS is consistent with the WHO Recommendations on the Marketing of Food to Children and the UN’s General Assembly’s political declaration on the prevention and control of non-communicable disease. A standard of this kind will be an international first. Read the full framework here: http://www.gov.scot/Resource/0042/00422516.pdf. This article was originally published in the SCPN Newsletter Volume 4, Issue 3. 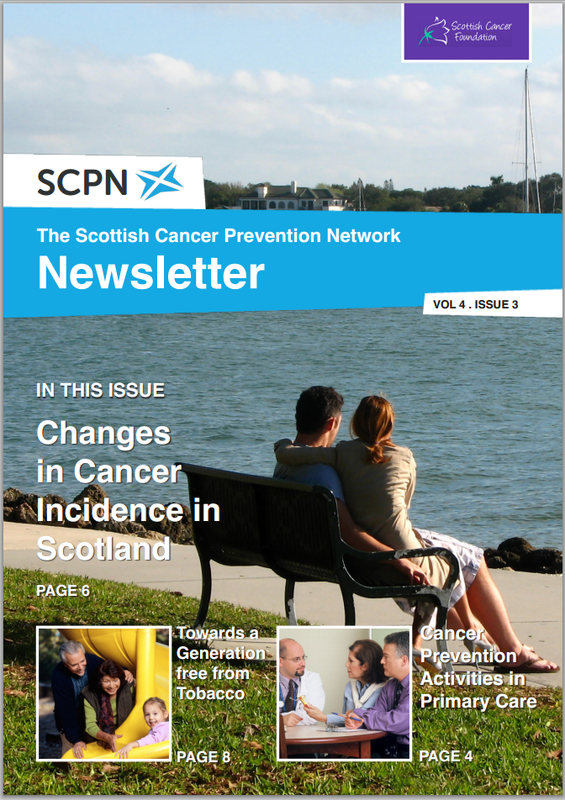 In this issue, we cover the changes in cancer incidence in Scotland, moving towards a generation free from tobacco, activities in primary care towards cancer prevention, and more.